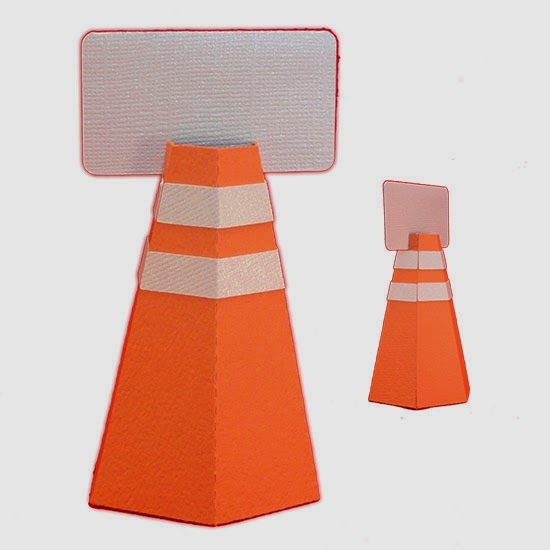 in the future, you'll want to include this small hazard cone place card holder. It measures a short 3.25" inches, and is approx. 2.5" wide at the base. the top opening of the cone. cone body, top stripe, lower stripe, name card. through SVG Attic and the Silhouette America online store. 1. Identify and cut the pieces. 2. 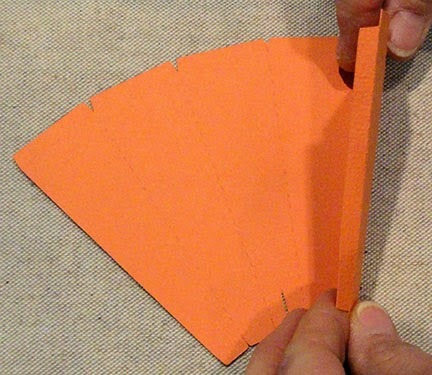 Fold inward along all body section perforations, and end tab perforations. 3. Glue upper and lower edge tabs to the backside of body to form rims. 4. 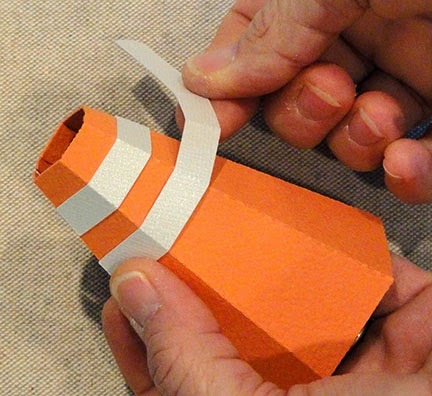 Fold body into a tube, then glue long side tab behind opposite straight side edge. 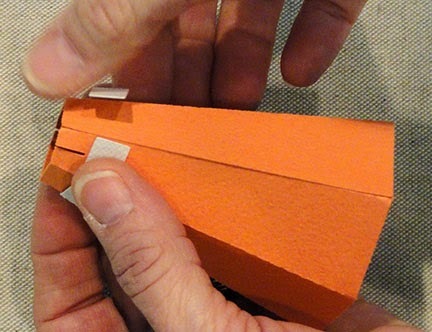 Insert fingers into end openings to help join the seam securely. 5. Fold stripe pieces slightly on perforations. 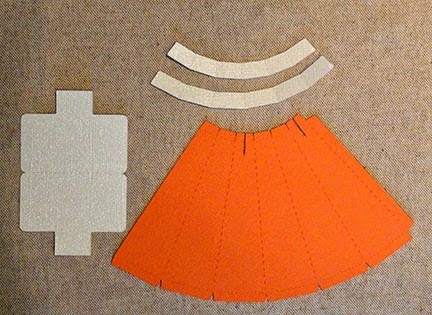 Wrap upper stripe around cone just below side slots, bringing ends to align at cone body seam, Adjust level position so that body and stripe perforations line up, then glue in place. 6. 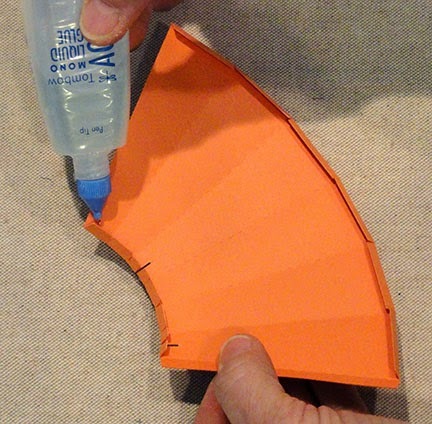 Repeat the positioning and gluing process for the lower stripe, placing it approx. 1/4" below upper stripe. 7. 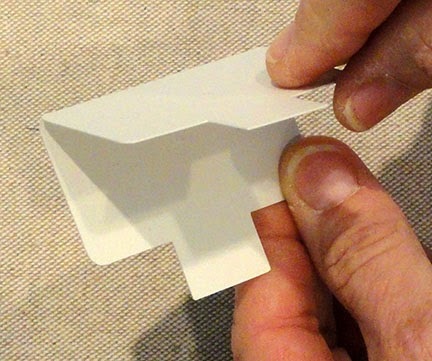 Fold and glue inner edges of name plate. Use "print and cut" software (Silhouette Cameo) to personalize a plate with name for each guest. 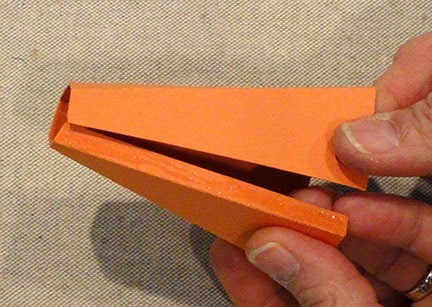 OR, use a regular printer to print, then cut to size and glue in place. 8. 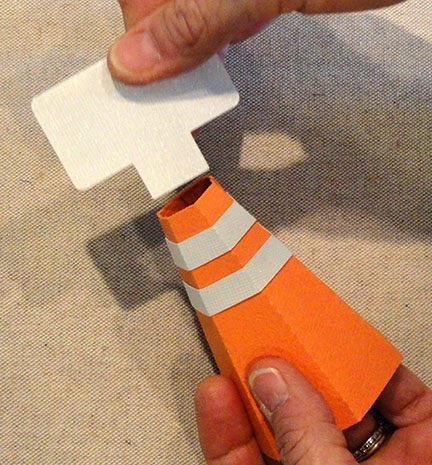 Insert stem into top opening of cone.